To actually see what is happening on the development board while the application is running, you must set up a J-Link debugging session. 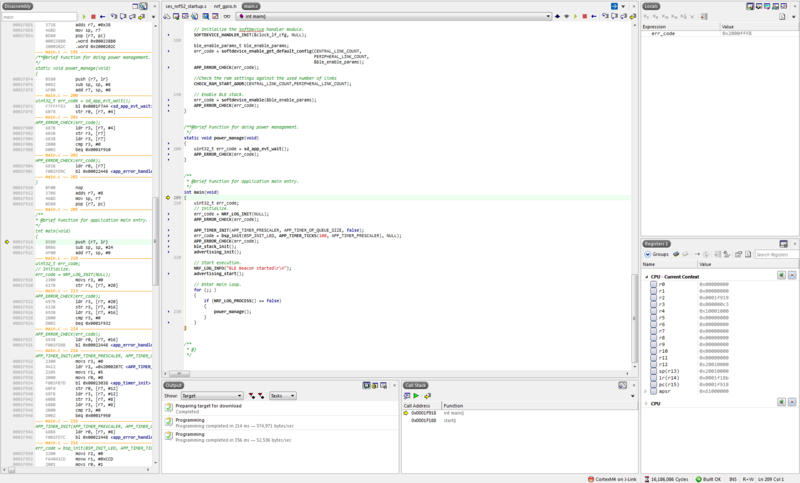 SEGGER Embedded Studio (SES) has an integrated debugger that you can use to step through your application. By default, the application will break in main. You can set additional break points, single-step through the application, read registers, and so on.